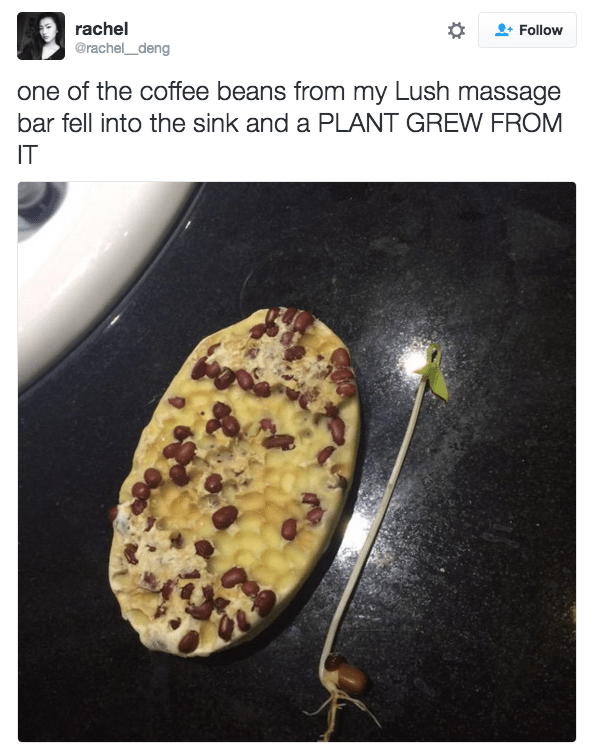 People are putting beans in things where they don't belong. We're not sure how to feel about it. A big pile of "what did I just look at?" Life can get overwhelming, so why not sit back and relax with pictures of beans cleverly placed in things they shouldn't be. And thank the good people at r/beansinthings. They have been waiting for their big break and they deserve it. Wiccy Magic Muscles contains a warming blend of cinnamon and peppermint essential oils that are said to stimulate the circulation to warm and loosen up stiff, achy muscles. This isn't a new problem, it seems like people have been Tweeting about it since at least 2015. Of course, it's been noted that it isn't really meant for the shower anyway. It's an oil bar after all. That hasn't stopped people from growing new little friends in their shower drains. THE MORE YOU TOOT, THERE I SAID IT!!! AHHHHHH! THEY'RE GETTING IN MY PANTS!!! ... and Van Camp's products!